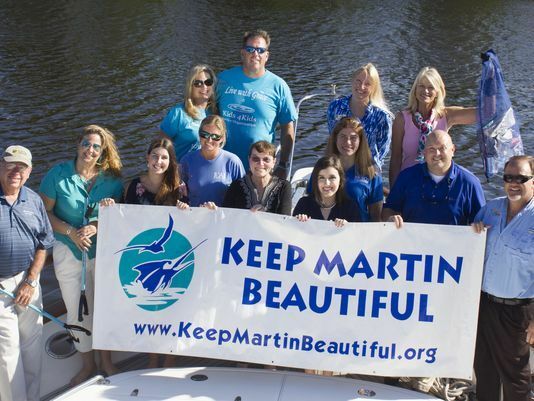 PALM CITY -- Each year, for the past 21 years, on the third Saturday of September, Martin County residents have had a way to think globally and act locally to help the waterways. With the 2017 International Coastal Cleanup quickly approaching, Keep Martin Beautiful urges residents to participate in this cleanup event and make a difference on Saturday, September 16 from 8:30 a.m. to 11:30 a.m.
Last year in Martin County, nearly 2,000 volunteers combined forces to remove over 8,000 pounds of litter and marine debris. Coordinated at the global level by the Ocean Conservancy, nearly one million volunteers throughout the world also took part in the 2016 Cleanup on the same day to remove marine debris that is a hazard to marine life, wildlife and people as well.